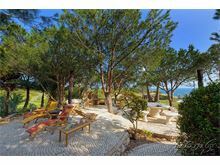 Boasting a front line location with uninterrupted Atlantic Ocean views and a lovely cliff top walk to Centianes beach, Budha Field has been a labour of love for its owners who have had a hand in every design detail, their international taste clearly apparent. 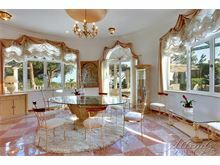 The floor to ceiling windows invite the gardens and ocean views into every room and guests will be instantly relaxed and charmed within minutes of arriving. The mature gardens, spacious terraces and comfortable outdoor furniture offer a choice of places to enjoy al fresco dining or quiet relaxed contemplation with only the Atlantic ocean as your backdrop. A stay at Budha Field will certainly be a very memorable experience. Please note that as the swimming pool is an irregular shape, the dimensions provided may only be used as general guidance. 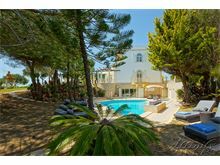 Approximately 500m from the nearest shop, bar and restaurant, 500m from the beach along a cliff top path and 1.5kms from Carvoeiro town centre. 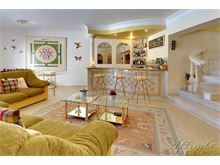 Gated driveway leads to main entrance, from the main entrance hall, marble stairs to the lower level family room with comfortable sofa seating, flat screen television, French windows onto pool terrace, a bar area, wood burning fire. Guest cloakroom. 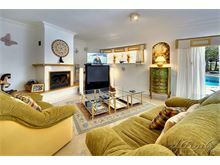 Mid level from main entrance to a formal drawing room with ample sofa seating, French doors to patio, wood burning fire. Down one step to dining area, with access from serving area and kitchen and doors to outdoor dining terrace. The kitchen is equipped with an integrated oven and microwave, large fridge/freezer and an additional small fridge, dishwasher, and gas hob. A separate utility room houses the washing machine and tumble dryer. Also on this level a double bedroom with an en suite bathroom and dressing area and a further twin bedroom with French windows leading out onto the garden terrace, and en suite shower room. 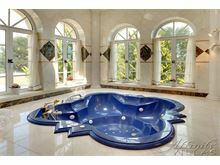 Up marble stairs from hall way to upper level to master suite with a double bed, separate seating area, TV, access to upper terrace and separate balcony overlooking the pool. 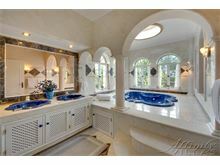 The en suite bathroom has a sunken Jacuzzi bath and separate shower plus a dressing area. Opposite the Master bedroom is a further double bedroom with French windows leading onto a sun terrace with sea views, a separate dressing area and an en suite bathroom with a corner bath. 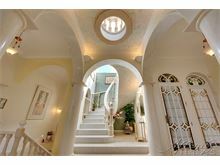 On this upper level there is also access to the large sun terrace independent of the main bedrooms. 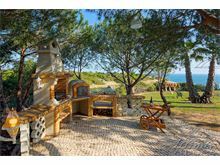 The villa has a generous amount of outdoor space, which includes a shaded area with pergola and seating, stone seating and dedicated barbecue area with natural shade. In addition to the main swimming pool there is also a separate shallow section. Maid service 3 times per week. Air conditioning is available at additional cost, if required. Fantastic villa! Very clean. Ideal for groups or families to space out. 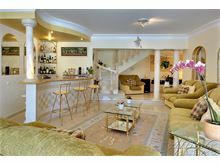 Lots of different seating areas inside & balconies off each bedroom. Garden is extensive too with lots of different seating area. 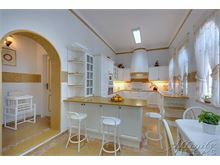 Large kitchen with lots of cupboard space. 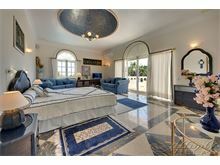 Fantastic location and impressive villa. 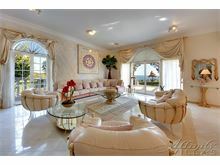 The online photo's of this villa do not do it justice. Buddha Field is beautiful, tastefully decorated throughout and has a very calming atmosphere. 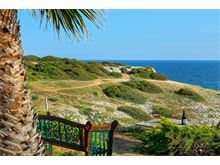 It is set in the most stunning surroundings right on a cliff top overlooking the sea. There is a coastal path at the bottom of the garden which is a must. It meanders around some of the most beautifully stunning coastline you'll ever see. Buddha Field has a very well landscaped garden and plenty of places to sit and chill and lots of shady places too. The pool is beautiful. At the time of year we went (October) it was quiet and the air temperature was just right for us at around 24c and the beaches weren't packed and there weren't throngs of people around. 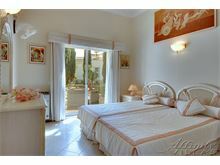 The villa was kept spotlessly cleaned by the delightful maid who was very friendly, helpful but non obtrusive. The kitchen was very well equipped. We'd go back in a heartbeat. Lovely villa in a fabulous setting. Very comfortable and spacious. Great location with easy walks to 3 good local restaurants and a small supermarket. The pool and comfy loungers in the beautiful spacious and shady garden were wonderful. 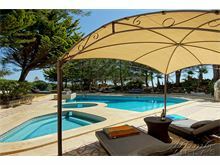 Fantastic villa, we had a lovely holiday. The location of Buddha Field is perfect the views of the ocean were breathtaking. The villa was clean and the maid service was impeccable. 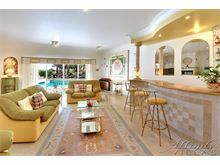 This was a lovely villa which met all our needs. Some areas are very impressive. A car is recommended. There is a very good bbq within the grounds of the villa and a few restaurants within walking distance. 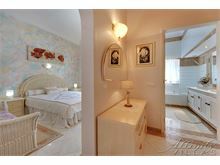 The villa was cleaned 5 days out of the 7 and the maid who provided this service couldn't have been better. Walking inside was like stepping into a posh hotel, marble everywhere and very stocked with everything you will need. 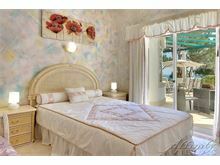 This beautiful villa made our vacation a special retreat. 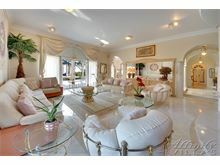 We were impressed by the elaborate interior decorating and the many charming outdoor areas. 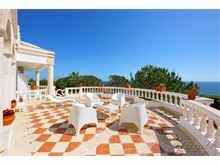 It is in a perfect location near many beaches, restaurants and shopping. We loved this villa and are thankful for such a wonderful holiday. What can I say?! It was a perfect holiday from start to finish! 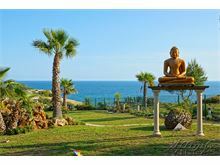 Budha Field is amazing, exactly how was described and pictured, a beautiful villa with gorgeous views to the ocean, copious amounts of space you could get lost but fab to relax in one of the many different areas set aside for sunbathing or eating, we didn't feel the need to eat out! Excellently equipped with everything you needed and our maid was excellent. We would definitely recommend this villa. 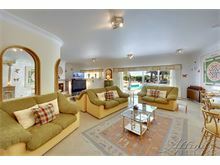 Wonderfully spacious villa in superb location, extravagantly furnished. 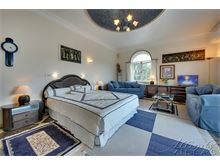 Large villa, excellent rooms. Superb views & pool. Good maid service very helpful. Near restaurant & shop . Fantastic opulent accommodation. 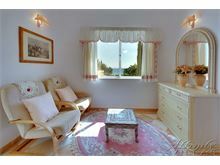 Located by the sea providing comfort and privacy.